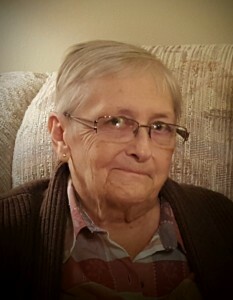 Patricia "Pat" Terrell, 73, of David City, died Sunday April 10, 2016 at her home. Visitation Thursday, 5:00 to 7:00 p.m. The family has established a memorial fund in lieu of flowers. Patricia “Pat” Terrell was born July 7, 1942 in Wagner, South Dakota, to Clyde and Priscilla (Westendorf) Sparks. She attended school in Armour, South Dakota and later attended Sioux Falls Beauty School. On January 27, 1962, Pat was united in marriage to Tom Terrell in Ft. Pierre, South Dakota. Tom and Pat have lived in David City since 1972, and enjoyed spending the winters in Yuma, Arizona. Pat worked for 35 years at St. Joseph’s Villa in David City. She always enjoyed spending time with her family and her friends at the villa. She is survived by her husband Tom of David City. Children and spouses: Deb (Steve Gerlach) Terrell of Rocky Mount, N.C., Mike (Becky) Terrell of Omaha, Allen (LuLu) Terrell of Chula Vista, CA, Mark (Jill) Terrell of Chesapeake, VA, Mary (Scott) Miller of Omaha. 16 grandchildren. Three brothers, Gary(Cheryl) Sparks of Carmarillo, CA, David (Judi) Sparks of Grants Pass, OR, Red (Lori) Sparks of Armour, S.D. Pat was preceded in death by her parents, brother Dennis Sparks, Sister Joan Soukup, brother-in-law Leo. Kracl Funeral Chapel of David City in charge of arrangements.